EDMONTON - Odell Willis is remaining with the Edmonton Eskimos. 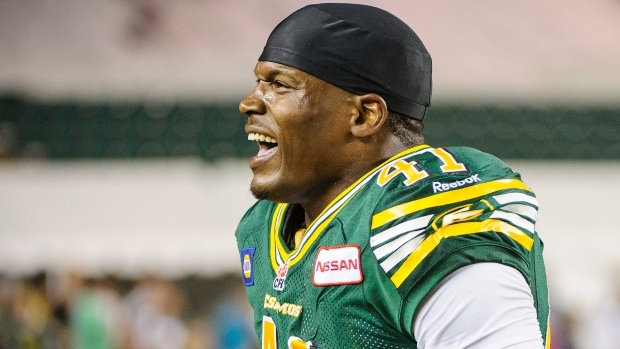 The veteran defensive end signed a contract extension with the CFL club Friday. Willis was scheduled to become a free agent Feb. 10. The six-foot-two, 255-pound Willis had a team-high 13 sacks last season. He also had a career-high 32 tackles, six pass knockdowns, five forced fumbles, a fumble recovery and two interceptions en route to being named a league all-star. Willis joined the Eskimos as a free agent in February 2013. The six-year veteran has recorded 155 tackles, 62 sacks, two interceptions and six fumble recoveries over his CFL career.